GPS tracking or global positioning tracking system helps you to know a person’s position. While this might seem odd, but it helps you in case your loved ones is missing. If you have a child or a teenager with a phone, you should try out a GPS tracker for their phone. And adding in a hidden GPS tracker helps people around you and yourself to remain calm in times of problem. Why Use Hidden GPS Tracker For Phones? Accurate and real time data based on the location of the user. A map view, which shows not only current location, but also the history of all locations the person has visited. Date and time of the places visited along with coordinates. Tracking a device in stealth mode, meaning the target mobile owner will never know about it. Checking internet history of the target’s phone. Checking Facebook messages and FB history. Tracking SMS and calls, both missed and received or unanswered. Checking WhatsApp messages and chats. Taking screenshots of Android device. Saving all the contacts from the target phone to online cloud. Tracking the to-do list in the phone. Tracking camera and the photos clicked. What Features Does This Program Have? 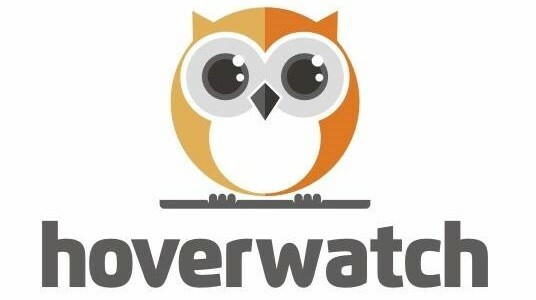 One of the advantages you get when you try hoverwatch tracker for Android is that you have a lot of options to choose from. As such, if you are spying on someone, and need a GPS tracker, you should keep the stealth mode on. On the other hand, if the person knows that you have a GPS tracker installed in his/her phone, you should try turning off the stealth mode. The option is available on the web version. You can click on the checkbox saying ‘Activate an invisible mode on this device’ to make the app invisible. Another advantage that the app has is that you can choose to install it directly from your online account. All you would need is access to the device. Other than that, you are free to choose the method you use to install the app. The following features make the app indispensable. Stealth mode, meaning the target mobile phone owner won’t know what has been installed in his/her phone. Monitoring of calls, SMS, social media accounts like Facebook, WhatsApp becomes more easier. You can install it from your online account, if you have access to the phone. Secret personal number or PIN, which will help you launch the app in the target phone, making it tougher for someone else to activate it. Your identity is protected through and after the installation. How legal is the use of tracking your child? Since you are a parent, you have the rights of making sure that your kid is safe. And in order to exercise your rights, you are well within your bounds to track your child using his/her phone device if the need arises. According to the law, privacy rights of a child is not equal to the privacy rights of an adult. An adult is always responsible for himself/herself. Contrary to this, a parent or a guardian is responsible for a child. This means that it is totally legal to know the position of your child, and use GPS trackers if the need arises. Not always do you need to use GPS trackers on phone. If your kid has a smart watch they can wear, then the tracking can work out too. Now that you have an idea of what Hoverwatch does and how it is helpful, let’s have a look at the pricing policy. The app comes in three different pricing policy – personal, professional and business. The personal plan costs $24.95 per month for a single user. The professional plan costs $49.95 for 5 users, and the business plan costs $149.95 for 25 users monthly. Tracking the location of your kids is not something illegal. However, if you have teenagers in your home, it is always a good option to use hidden GPS trackers. Alternatively you can also explain the situation to them before tagging them.